Corresponding member of the Russian Academy of Sciences (2011). 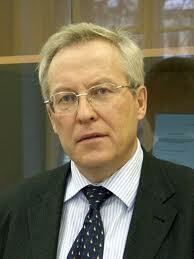 Having graduated from Novosibirsk State University with a degree in economic mathematics in 1977, V.A. Kryukov started working at the Institute of Economics and Industrial Engineering of the Siberian Branch of the Russian Academy of Sciences (IEIE of SB RAS). He is a specialist in the sphere of economic problems of functioning and development of the oil and gas sector. His monograph entitled Institucional'naja struktura neftegazovogo sektora: problemy i napravlenija transformacii [Institutional structure of oil-and-gas sector: the problems and trends of its transformation, 1998] is the first book in Russia studying the ways how the mineral resources sector is changing in the new emerging economic and political context. From 2006 to 2015, under his leadership, the following projects were implemented: tax differentiation in the gas industry (at the request of Novatek JSC), associated gas utilization (at the request of TNK-BP JSC and the Russian Gas Society), development of gas chemical industry and helium utilization in the eastern part of Russia (at the request of the Rosneft JSC), the preliminary versions of the Energy Strategy for the Russia till 2030 and 2035 (Oil Industry Chapters), Energy-Related Policies and projects for the several regions. V.A. Kryukov is actively involved as an expert in the work of various organizations: the Economic Council of Tyumen Oblast; the Expert Council at the Russian Ministry of Energy; the Expert Council at the State Duma Committee on Natural Resources, Natural Management and Ecology; the Expert Council on the Arctic and Antarctic under the supervision of Chairperson of the Federation Council; the New Economic Association Expert Council; expert of the Russia's Scientific Foundation (RNF). He has repeatedly served on the expert group for the World Bank, the European Bank for Reconstruction and Development, now he is a member of the Expert Council of the VneshEconomBank (VEB) of Russia. He has also led the group drafting documents on oil-and -gas resource management as for the Ministry of Natural Resources as for the regions of Russia's Federation. At the National research university Higher School of Economics (Moscow), he is the Head of the first Master's program on regulating and managing minerals and energy industries.